Relax and enjoy the lake views. Perfect for families or groups, this house can be enjoyed in all the seasons. 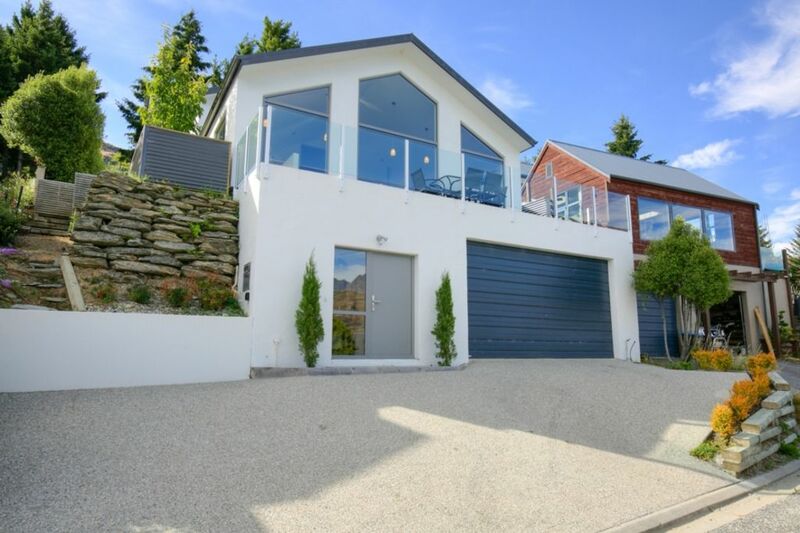 Located a 5 minute drive to Queenstown's CBD and under 10 minutes to the airport, you will not find a better way to enjoy Queenstown. Modern living, sleeps 10 comfortably. Amazing property with great views over the lake, top floor bedroom and bathroom are really nice with great views over night sky. Perfect location for our needs. the house has nice view and design is modern. the house has nice view and design is modern. clean and tidy. very comfort. Garage gate is a bit noisy and parking should be slippy during snow season. Location is SUPERB! the views were absolutely amazing! Loved staying here! Just one thing, this house has 3 flights of stairs to get to the main bedroom so it might be a problem for some people, but for us it wasn't so it was great! Thank you! would stay again! Property had everything it said. Property had everything it said. Suited the 8 of us staying there. The house was beautiful with fantastic views of the lake. The house was beautiful with fantastic views of the lake. It was one of our favorites during our 2 week trip. We were a 3 generation group 8yr old to 80 yr old and they all loved it .